Timbeter for iOS is here! 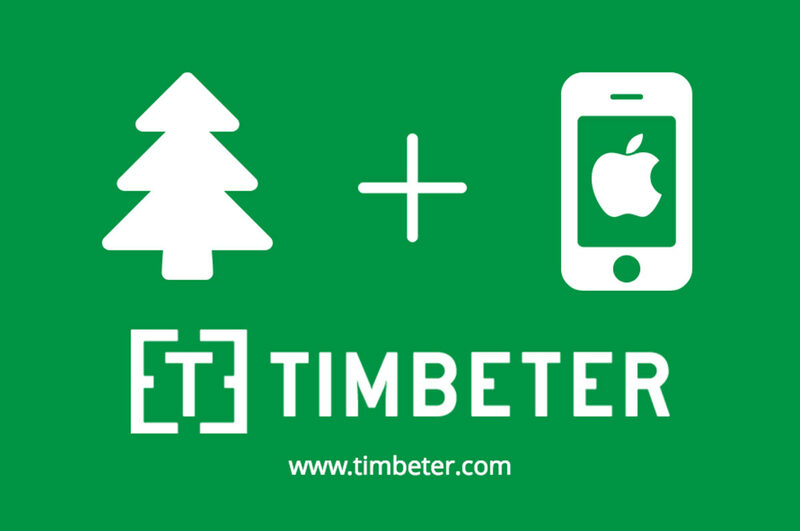 From user requests we are finally thrilled to announce that Timbeter is now available for iOS users. You can download the app to your iPhone or iPad here. Timbeter is an innovative solution that enables you to measure the volume of a pile, the number and the exact diameters of each log accurately and in minutes. Thus increasing cost efficiency and profitability. Using Timbeter is easy: simply take a photo of the pile and instantly get the result! All the piles are geotagged, so the origin of the timber is always known to everybody. Timbeter utilizes both the metric and imperial measurement systems to calculate your timber volumes. You can mark the cull on logs. The diameter recognition algorithm counts the number of logs within a pile, provides the exact diameter of each log, the average diameter of the log pile and the volume in cubic meters. Timbeter measures the diameter of the log under the bark. These diameters can then be filtered: e.g. you can sort and view log diameters ranging from 15-25 cm. All data regarding your measurements: size, location, date and time, species; are stored with the picture. Your data is synced and then stored in a cloud service at timbeter.com which can be easily analyzed, forwarded and shared via a link. Two-way synchronization enables you to enter all the company-specific data from the storage module (https://app.timbeter.com) and get the overview of the measurements by different storages, species or dates. Timbeter iOS is available in English, Chinese, German, Estonian, Lithuanian, Russian, Portuguese and French. More languages to be added soon. Begin measuring your timber today and download for free!